White noise path integration is applied successfully to derive the quantum propagator of a three body particle system consisting of three harmonic oscillators coupled to each other, or tri-coupled harmonic oscillators. It is shown that the full quantum propagator is a product of three simple harmonic oscillator propagators. These propagators were obtained after two successive transformations of the coordinates for the first two harmonic oscillators, and the coordinates for the coupling between the third and one of the first two harmonic oscillators in the system. Furthermore, when the third coordinate and coupling constants are set to zero the resulting propagator reduces to that of the propagator of the coupled harmonic oscillators. B. Butanas and R. C. Caballar. 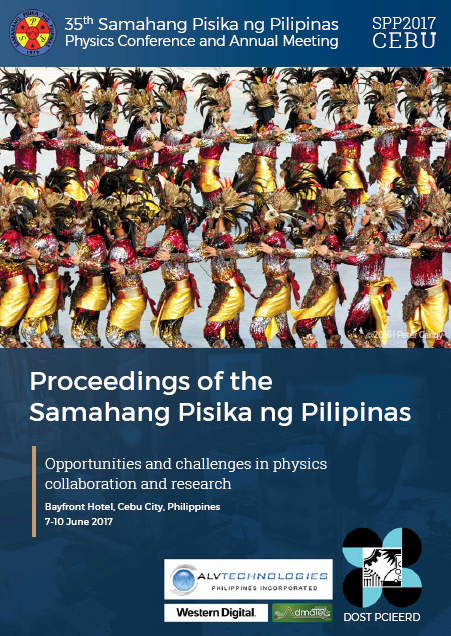 Derivation of the quantum propagator of a three body system modelled as tri-coupled harmonic oscillators using white noise path integration, Proceedings of the Samahang Pisika ng Pilipinas 35, SPP-2017-3C-05 (2017). URL: https://paperview.spp-online.org/proceedings/article/view/108.